GILDERSLEEVE (Gilderslieve), HENRY, shipbuilder, ship’s captain, businessman, and justice of the peace; b. 8 Nov. 1785 in Gildersleeve (Portland), Conn., son of Philip Gildersleeve and Temperance Gibbs; m. 28 Jan. 1824 Sarah Finkle, and they had five sons, two of whom died in infancy, and three daughters; d. 1 Oct. 1851 in Kingston, Upper Canada. Over the years Gildersleeve was involved both as a shareholder, in association with others (mainly Kingston businessmen), and sometimes as building superintendent, in the construction and operation of a succession of steamboats: William the Fourth (Gananoque, 1831), Commodore Barrie (Kingston, 1834), Henry Gildersleeve (Kingston, 1840), Prince of Wales (Kingston, 1841), and New Era (Kingston, 1848). Of these, the Prince of Wales plied the Bay of Quinte exclusively, while the others ran on that bay, on Lake Ontario, or on the St Lawrence. Gildersleeve also had interests in other steamboats. Along with Robert Drummond*, Donald Bethune*, and others he had been on the committee formed to build the John By, intended for the Rideau Canal but run instead on Lake Ontario. 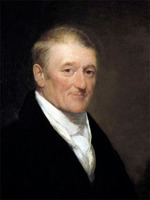 He became a shareholder in and later the agent for the Kingston, built by John G. Parker in 1833. In 1847 he purchased the City of Kingston, which had been built on Garden Island as the Prince Edward in 1841 by Dileno Dexter Calvin*, John Counter*, and others. Finally, Gildersleeve may have projected the construction of the Bay of Quinte, which was built under the direction of his son Overton Smith* in 1852. Competition between steamboat operators became increasingly intense as the number of vessels multiplied. A bitter exchange of letters took place in the Kingston Chronicle in May 1830 between Gildersleeve and Archibald McDonell, whose ship Toronto had begun running on the Bay of Quinte. Gildersleeve also faced opposition there from Donald Bethune’s Britannia. To counteract the effects of competition, operators began coordinating their schedules and establishing joint undertakings. Gildersleeve, for instance, arranged for cooperation in the schedules of his Commodore Barrie and the American steamer Oswego in 1835. At various times, he chartered the Commodore Barrie, the Henry Gildersleeve, and the New Era to John Hamilton* of Kingston for service on his lines. Gildersleeve had married a daughter of Henry and Lucretia Finkle in 1824, and by 1826 he and his wife had settled in Kingston, where he built a substantial stone house in 1825–26. He became a prominent citizen, known not solely as a shipbuilder but also as a man active in many business and community affairs. He was a stockholder of the Ottawa and Rideau Forwarding Company, which provided passenger and freight service between Kingston, Bytown (Ottawa), and Montreal via the Rideau Canal. With others, notably John Counter, he promoted and was an original stockholder of the Kingston Marine Railway Company, founded in 1836 and incorporated two years later. For many years Gildersleeve was a director and president of this firm, which built and repaired ships of all kinds at its marine railway and shipyard on the Kingston waterfront. He was a director and, later, treasurer of the Kingston Gas Light Company, and was a promoter of the Kingston Waterworks. As well, Gildersleeve was a founder and vice-president of the Kingston Provident and Savings Bank, president for several years of the Kingston Building Society, and vice-president of the Kingston Fire and Marine Insurance Company. As an investor, he held shares in both the Commercial Bank of the Midland District and the Bank of Upper Canada. In response to early proposals for Upper Canadian railways, which threatened Kingston’s role as a trans-shipment centre, Gildersleeve and other enterprising businessmen conceived the idea of developing the city as the centre of a railway linking Toronto, Kingston, and (via Wolfe Island to the south of Kingston) Cape Vincent, N.Y., where it would connect with American railways. The Wolfe Island, Kingston and Toronto Rail-road Company was incorporated in 1846 but the railway was never built. An attempt to revive the plan, with the added feature of a canal across Wolfe Island, led to the incorporation in 1851 of the Wolfe Island Rail-way and Canal Company, of which Gildersleeve was named a director. He did not live to see the failure of this project, for he died in October of that year. Gildersleeve participated in various other aspects of life in Kingston. He sat on the grand jury for the Midland District Assizes for several years and became a magistrate in 1842. The previous year he had served on the committee set up by the local board of trade to assess available accommodation for the use of the Canadian government after its scheduled move to Kingston. In religion he was an active member of St George’s Church (Anglican). In 1828 the Kingston Chronicle described Gildersleeve as “well known for the urbanity of his manners.” A benevolent man, of strong character and firm integrity, he was above all a shrewd and far-sighted businessman and an enterprising pioneer in shipbuilding in Upper Canada. At his death he left a large estate, consisting of steamboats, real estate, and cash, to his son Overton Smith. Another son, Charles Fuller, and a grandson, Henry Herchmer Gildersleeve, gained prominence as managers of major shipping firms on the Great Lakes and the St Lawrence. ACC-O, St George’s Cathedral (Kingston, Ont. ), reg. of marriages, 1824. AO, MS 78, Henry Gildersleeve to John Macaulay, 24 May 1837, 28 Feb. 1843; MU 610, no.61 (cash-book of steamer Sir James Kempt, 1836). Kingston Public Library (Kingston), E. E. Horsey, “The Gildersleeves of Kingston – their activities, 1816–1930” (typescript, Kingston, 1942; copy at QUA). PAC, MG 24, D24: 236–44, 280–86; RG 5, A1: 20075–78; RG 42, ser.I, 205: 71. Can., Prov. of, Legislative Assembly, App. to the journals, 1857, app. 11, nos.7–8; Statutes, 1846, c.108; 1848, c.13; 1849, c.158; 1850, c.139; 1851, c.149. U.C., Statutes, 1837–38, c.30. British Whig, 13 May 1834–25 March 1848. Chronicle & Gazette, 27 July 1833–10 May 1845. Daily British Whig, 1 Oct. 1851. Daily News (Kingston), 8 Oct. 1851. Kingston Chronicle, 1 June 1827–26 Nov. 1831. Kingston Gazette, 14 Sept. 1816–8 June 1818. Weekly British Whig, 6 July 1849; 29 March, 5 April 1850; 30 July 1852. Canada directory, 1851: 119–29. Cyclopædia of Canadian biog. (Rose and Charlesworth), 1: 586–87. W. H. Gildersleeve, Gildersleeves of Gildersleeve, Conn., and the descendants of Philip Gildersleeve (Meriden, Conn., 1914). Heritage Kingston, ed. J. D. Stewart and I. E. Wilson (Kingston, 1973), 155, 164–65, 170. Pioneer life on the Bay of Quinte, including genealogies of old families and biographical sketches of representative citizens (Toronto, 1904; repr. Belleville, Ont., 1972), 332, 339. Canada and its prov. (Shortt and Doughty), 10: 493–502, 506–14, 536–40. E. E. Horsey, Kingston, a century ago; issued to commemorate the centennial of Kingston’s incorporation (Kingston, 1938). To preserve & defend: essays on Kingston in the nineteenth century, ed. G. [J.J.] Tulchinsky (Montreal and London, 1976), 1–14 (editor’s intro. ), and J. K. Johnson, “John A. Macdonald and the Kingston business community,” 141–55. A. G. Young, Great Lakes saga; the influence of one family on the development of Canadian shipping on the Great Lakes, 1816–1931 (Owen Sound, Ont., 1965). Dorothy Geiger, “A history of the Kingston waterfront and water lots,” Historic Kingston, no.19 (1971): 3–16. A. L. Johnson, “The transportation revolution on Lake Ontario, 1817–1867: Kingston and Ogdensburg,” OH, 67 (1975): 199–209. Duncan McDowall, “Roads and railways: Kingston’s mid-century search for a hinterland, 1846–1854,” Historic Kingston, no.23 (1975): 52–69. R. A. Preston, “The history of the port of Kingston,” OH, 46 (1954): 201–11; 47 (1955): 23–38. Ruth McKenzie, “GILDERSLEEVE, HENRY,” in Dictionary of Canadian Biography, vol. 8, University of Toronto/Université Laval, 2003–, accessed April 19, 2019, http://www.biographi.ca/en/bio/gildersleeve_henry_8E.html.